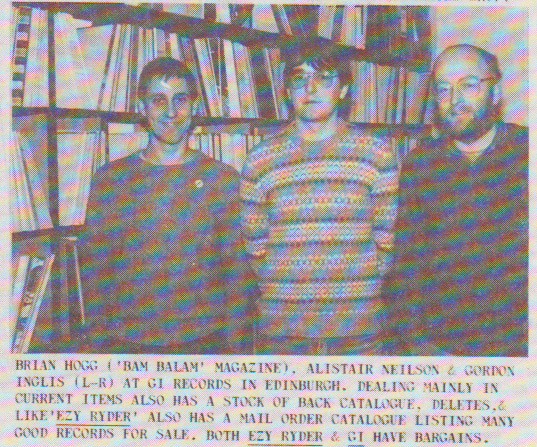 I used to visit the Raeburn Place and Cockburn Street shops on trips through from Greenock and always found something of interest. There was also a very efficient mail order service which I used regularly. This and Ezy Ryder were my favorites in Edinburgh. Comment: Eric Marshall. 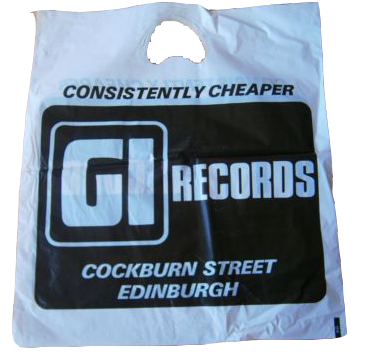 ( April 21, 2015) GI in Cockburn Street was a vast, seemingly always deserted shop - I always wondered how it made money, selling Albert Lee and Spirit LPs. I remember buying a live import Mountain double album in there - it was that sort of place.